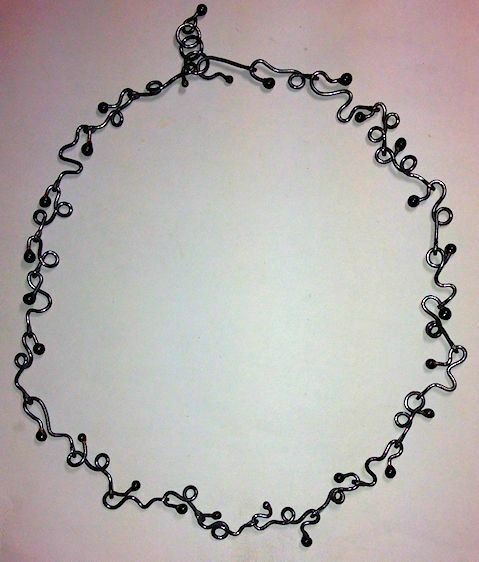 This necklace was a test to see if I could make small glass balls on the end of wire. One end was balled up and then hammered flat and drilled to make a hole. The wires are linked together with a wire going through the holes, then the glass ball is added to the other side. Close up of the links.